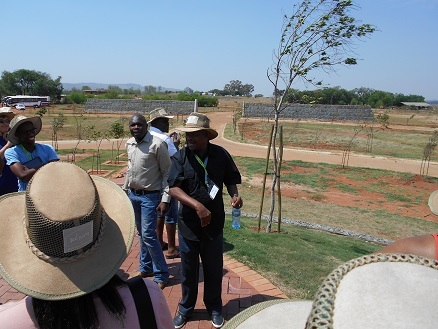 I was fortunate to sit next to Reggie Moloi who not only acted as tour guide, giving us entertaining commentary as we drove through Soweto, but also passionately shared insights into the City of Johannesburg’s cemeteries. He proudly told me about the numerous awards the Diepsloot Cemetry has won... how the Jewish and Muslim sectors of Westpark Cemetry are run… how the crematoriums were mostly run by the Hindu community and how objective you need to be in this line of work when most people can be irrational and highly emotive. Another wealth of information in this field is a recently published book called “A journey through Johannesburg’s Parks, Cemeteries and Zoo” by Lucille Davie which was showcased at the convention. Reggie continued to explain that Avalon Cemetry is 172 hectrares with a 45 hectare extension, but some areas are too rocky and it is nearing full capacity. Furthermore, all central cemeteries (besides Westpark) are full. For this reason the City of Johannesburg looked to Olifantsvlei to be the new cemetery that will serve Soweto. 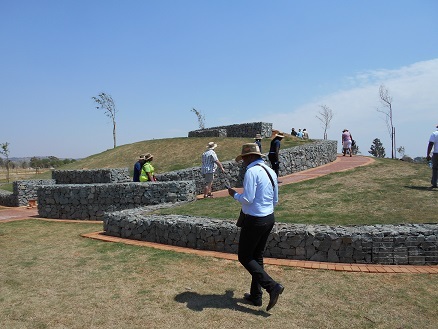 It is 400 hectares and estimated to last sixty years with 888,000 first burials. I found the “recycling” of graves quite interesting: one grave can be used for up to three burials as long as it is within the same family. Reggie jokingly said, “If we mix family graves, the ancestors will fight”. 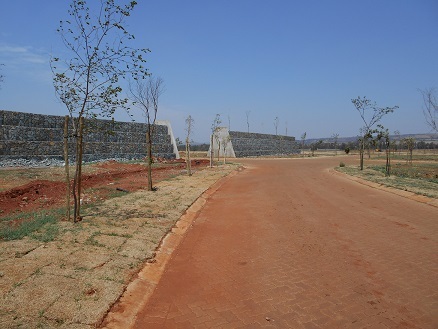 The cemetery has most infrastructure in place including roads, trees and impressive gabion entrances to the various sections of the cemetery. The circular forms referred to as “cells” give the cemetery an organic and spacious feel. Cells will have different themes including areas with headstones, a full memorial and a memorial garden with only plaques. The wall that has been built around the cemetery (at a cost of R80 million) has been built specifically to incorporate gaps in the pillars so that small animals can pass through it. This is to comply with the environmental impact assessments done for the site. One problem they are facing, which is preventing the cemetery from opening, is constructing the entrance. Council has indicated that an expensive bridge needs to be built because of the busy road it is located on. There are further ambitious plans for the cemetery, including introducing game into the conservation area close to the stream, employing 200 people, building a one stop commercial facility with florists etc. and removing the paving in future to maximize space. 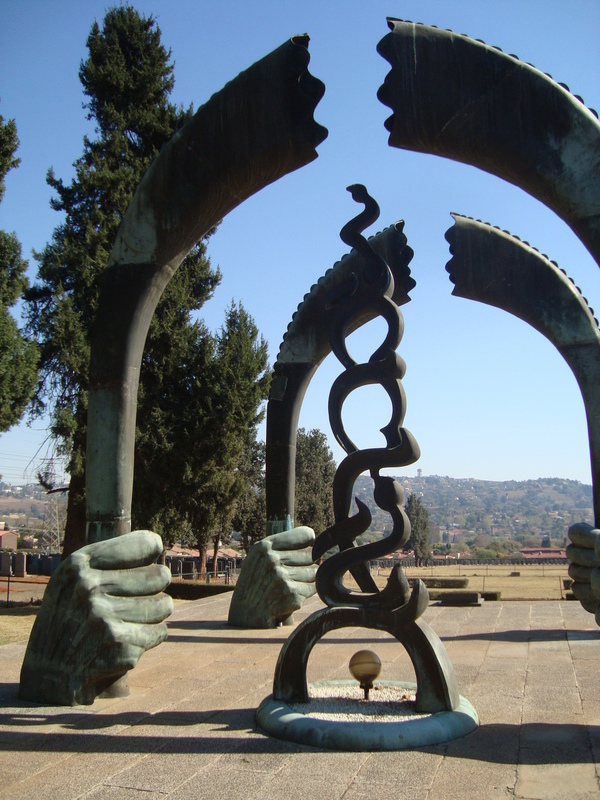 We decided to visit a sculpture I had heard about situated in the Jewish part of the West Park Cemetery in Emmarentia, Johannesburg. The sculpture commemorates the six million Jews that were killed in World War 2 and is made from Copper. The giant hands holding shofars are quite impressive. If you are looking for an interesting and humbling experience I would recommend visiting this sculpture and the surrounding cemetery.